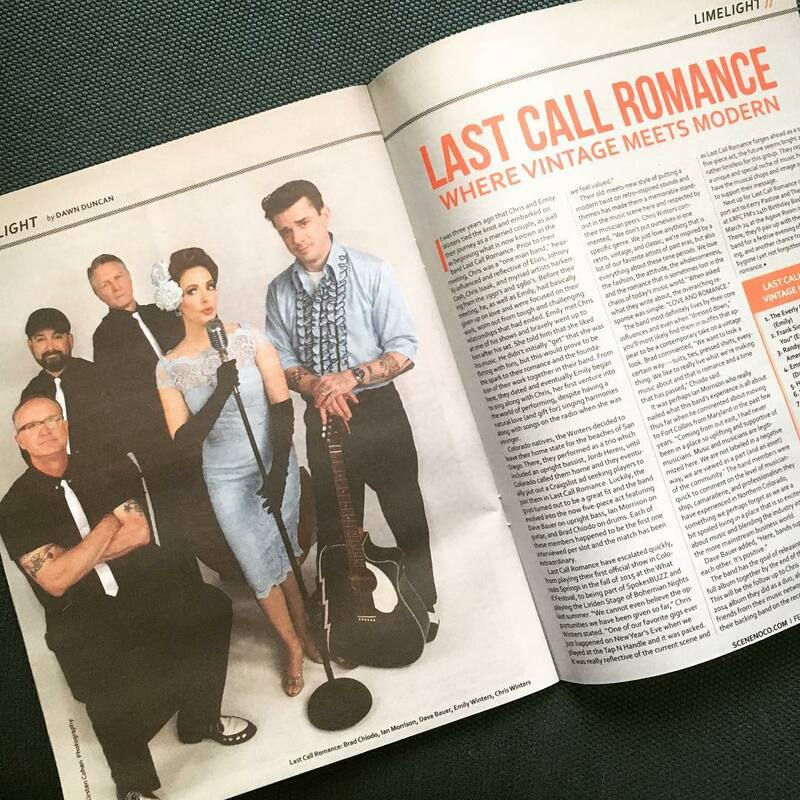 Known for their danceable sound and original songs, Last Call Romance delivers a blend of Rockabilly-Swing from Northern Colorado. their songs are described as having "a vintage feel to it all, without a distinct era to connect it to.” -Blue Suede News Magazine. The band has played numerous Colorado shows, traveling all over the front range including the UMS festival, the Rockabilly Expo, KRFC events and Radio Shows, Hot Rod Shows and various Summer Concert Series, the KRCC WhatIF festival in Colorado Springs, FoCoMX, CSU’s stadium opening, and the Bohemian Nights NewWest Festivals in Fort Collins. The band was also accepted to the prestigious SpokesBUZZ incubator program in 2016. In 2018, they had the honor of playing the oldest Rockabilly festival in the U.K., the Hemsby Rock n’ Roll Weekender! 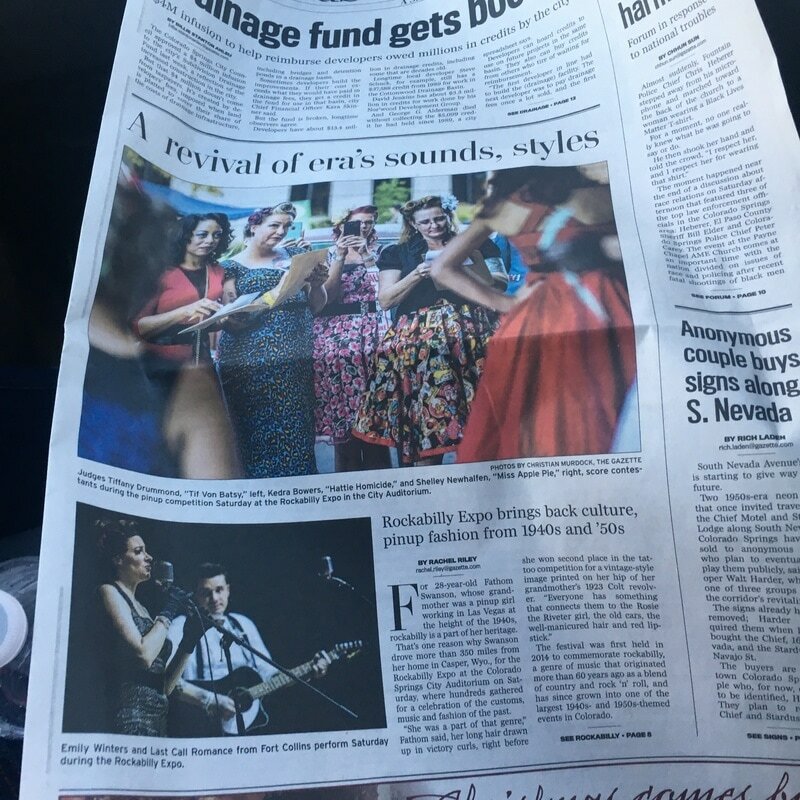 Dawn Duncan, of Scene magazine wrote, "Their old-meets-new style of putting a modern twist on retro-inspired sounds and themes has made them a memorable standout in the music scene here and respected by their musician peers." The band strives for an old-fashioned vibe that evokes a time when a catchy, energetic sound was heard on a car radio or at the dance hall. Tabitha Hernandez, of the Examiner.com﻿﻿ described their performance as, “A sound straight from days past... this band sang original hits and had the audience cutting a rug; the masses bee-bopped and jived away to the beats." They are currently recording a new album release for 2019.